Is Regulatory Intervention Halting Or Accelerating The Pace Of Growth Of Blockchain Technology? Whilst regulatory scrutiny on the long emerging blockchain technology is increasing, it isn’t slowing the pace of growth in terms of engineers and teams working in research and development nor in venture capital investment which was significant in the 2017’s ICO boom, cryptocurrency price-up and also the number of Google Searches for ‘blockchain’ and ‘bitcoin’. The major key factors that will be in light are ICO offerings, venture activity, and corporate activity. In recent times, accredited investors are investing in buying tokens via cryptocurrency purchase agreements while tradition investors are investing in firms that are planning to incorporate the token model into their business. A common version of this is this the SAFT (Safe Agreement for Future Tokens). With this forward contract for tokens, startups willing to raise capital aren’t selling equity stakes but the rights to some of the tokens that they will use to grow their network. SAFT and other presales might be a way to invest in tokens for venture firms while still conforming to the asset class requirement (which allows them to invest in private companies) but buying tokens by an exchange or through an ICO would not fulfill the requirements. In other words, the token model specifically pre-sales financing is emerging as a big share for fundraising mechanisms for Blockchain teams. For instance, Telegram, encrypted messaging service held such a large pre-sale that they did not opt for public sale. A total of$1.7B from 175 private investors into separate private rounds was raised. Even though there has been a long going argument about ICOs being the new financial instruments which require new legislation and regulatory agencies, the US regulators do not seem to agree with it. The Securities and Exchange Commission(SEC) still considers that tokens are securities. SEC Chairman, Mr. Clayton was quoted saying ” I want to go back to separating ICOs and cryptocurrencies. ICOs data securities offerings, we should regulate them like we regulate securities offerings. End of story. ” This means that the SEC is treating ICOs as securities. It would mean that the teams that held them and companies could face legal actions. The Financial Crimes Enforcement Network(FinCEN) considers cryptocurrency as money which is contrasting with the CFTC’s definition of cryptocurrencies as commodities. This also poses potential fines and significant risks to teams issuing tokens. The above definitions about the whole scene of ICOs and it’s offerings highlight regulatory misinterpretation and a lot of upcoming confusion. Apart from all this, the SEC’s regulatory scrutiny has led many Crypto companies to take some more cautious approaches to finance like avoiding pure play ICOs and adopting venture fundings and making token sales amenable to the crowd. For instance, Templum provides “regulatory compliant solutions for Tokenized Asset Offerings (ICOs as securities) and subsequent secondary trading”. The emergence of ICOs as a financing mechanism has pushed VCs to reconsider their traditional ways. As of Fred Wilson (a prominent partner at Union Square Ventures) wrote on his blog, “With a new model, tokens, in its infancy, it begs the question of how it will impact our approach.” Indeed, venture firms are increasingly investing in keepsakes. For evidence, two of the sphere’s most active VCs — Andreessen Horowitz and USV — are increasingly investing in public Blockchains and crypto-assets broadly. Both firms have invested in cryptocurrency hedge investment firm as an equity investor (Polychain Capital) and as limited partners (MetaStable). Andreessen is also reportedly preparing to launch a dedicated crypto-asset fund. Both firms’ recent investments insist a shift towards crypto as opposed to blockchain technology. Also, Andreessen’s bet on Basis — used SAFT contracts. USV has additionally wagered on a digital currency group that plans to contend with Bitcoin. Algorand raised a $4M seed round in February to manufacture a high-speed payments protocol, as Bitcoin has confronted exchange delays. Andreessen’s ongoing blockchain gambles are foundation plays as seen above. Dfinity wants to be an Ethereum contender, and Harbor is conveying a protocol for “security tokens”(explained ahead). All put together Andreessen’s approach shifted — from Bitcoin to blockchain, to crypto. On the contrary, USV’s claim has shifted less, where the firm was never investing in enterprise blockchain providers. But, both of them have definitely shifted towards tokens —first via cryptocurrency hedge funds, and now through more direct investments. Seeing the big names of VCs involved it is expected that this trend is to go a long way in the near future. Security Token firms on the rise- Literally, security tokens means ‘Security on the Blockchain’. Unlike utility tokens, these represent real-world assets like vehicular ownership, shares of a company or real estate and most importantly are subject to securities regulations. Another feature is that they are programmable and can represent a loan (digitally)- which can pay-out on its own depending upon the clauses in the agreement. One example of working in this sphere is Polymath. Polymath aims at helping “trillions of dollars of financial securities at migrating to the blockchain.” Post-launch, the company’s POLY token will also optimize for existing regulations, like KYC/AML. Hoping for an elevating emergence of security tokens, given the list of top investors and their unanimity can make this trend to continue shaping the future of Blockchain. Companies like Coinbase and base-layer protocols, like Ethereum, made lots of money as a result of 2017’s mania resulting out of speculation and not its use. Now, they plan to place venture capital bets, to go on shopping sprees, or build “ecosystem funds.” All are trying to find use cases and users. Exchanges are aware of the rampant speculation and are looking for real use cases via venture investment. For example, Coinbase recently launched its venture arm, Coinbase Ventures. Base-layer protocols are still building working platforms. To seek the attention of dApp development, some firms are launching “ecosystem funds”. For instance, after launch Dfinity aims to compete with Ethereum and has received $61M in February from Andreessen and Polychain. Also, IOTA had launched the ‘IOTA Ecosystem’ to encourage development on its Tangle based IoT-focused protocol. Organizations are additionally ending up more acquisitive. In February, “over the counter” (OTC) work area Circle obtained cryptocurrency exchange Poloniex for $400M. The circle has worked closely with US controllers before, which looks good for Poloniex’s future as it is one of the biggest worldwide trades, by exchanging volume. Soldered with regulatory considerations, we can expect companies to bring in capital to invest in new and exciting use cases. Potentially profitable companies that come on the web of regulatory risk will be likely seeing bids, as evidenced by Circle’s acquisition of Poloniex. Teams ‘suddenly’ flushed with cash will spend it on developing their respective ecosystems as seen above. All the lucky companies gorging on 2017’s speculative wave will continue to invest capital in search of the best use case and users. Everyone’s talking about Blockchain! In late April 2018, “Blockchain” was already mentioned close to 300 times on Q1’18 earnings calls. Also, MasterCard CEO Ajay Banga has marked the company’s interest in this technology on a Q4’15 earnings call quoting- “We’ve been experimenting in this space for a while. We’ve got patents in the space. We’ve got experiments and lab designs in the space. We’ve got investments with venture capital firms in the space”. They also mention their involvement in Q4’17. But after that, it was not mentioned. This suggests that the firm’s involvement has reached stagnation. After all, talks do not matter that much. The actual investment of these corporates will be highlighted next in the upcoming trend. The total corporate investors jumped up to 70% YoY between 2016 to 2017. Many companies like banks and financial institutions participated in big rounds to R3 in 2015 and 2017 pushing total corporate investors up. Mining company BHP Billiton started its blockchain project in 2016 to enhance security and tracking around real-time mining data. In April 2017, it was reported that BHP’s project lead had discontinued and joined Consensys (an Ethereum development firm). Since then no further news has been published about the project. It may be true that corporates are new entrants to the conversation, but many have been in the scene from long. It has been noted that highly touted partnerships have stalled, or fallen apart altogether, suggesting that new partnerships might face similar tests. To avoid these much-expected tangles corporates should think long and hard before deploying what might be a solution in search of a problem. As mentioned above the investment of organizations is positively affecting corporate investors as a whole, other consortia like Hyperledger and Enterprise Ethereum Alliance (EEA) have moved out and made news while consortia still have little to show. Consortia are still yet to soundly integrate the Blockchain and Distributed Ledger solutions into corporate IT stacks. It is a challenge to bring together market participants- like the ones working on Distributed Ledgers- as they do not want to collaborate with competitors. But R3, a software provider, and a well-known financial services consortium have been building Corda: an open-source, distributed ledger software primarily for financial services organizations. R3 has assembled a private consortium (most of which are banks) of paying members to encourage adoption and has received $100M in many funding rounds. The company has deployed solutions for syndicated lending (with Finastra), as well as for cross-border payments. 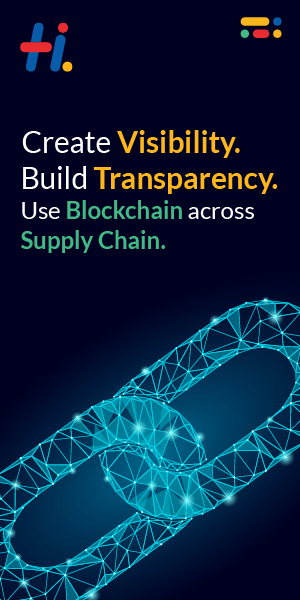 Other notable open standards works like Hyperledger has found its use cases in Supply Chain. IBMs Blockchain which is the commercial version of Hyperledger was used by prominent companies like Nestle and Walmart to track food through their supply chains. Even though 2017 posed out to be a big year for R3, EEA and Hyperledger the main question still remains that is – who will be the first consortium for mass-adoption? To bring in more use-cases and technological innovations these should probably focus on interoperability because a technology built on cooperation can do wonders. Amid all the possible speculations about the future of Blockchain, we have seen a few driving trends that will serve positively for the future of Blockchain technology.